Lock in a great price for Pension Lorea – rated 8.4 by recent guests! Incredible location by beach and nightlife. My room was on the internal courtyard, so it was very quiet. The family that runs it is very nice and helpful. The owner was sweet and nice. 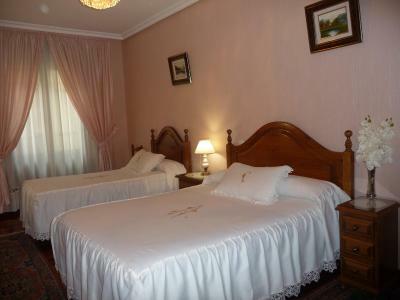 Rooms were dated but extremely clean, and the hotel is in the center of all pintxo-crawling action. 3 min from the beach, lots of places to eat around the clock. If you are a party-all-night type, this place is perfect! Best location if you like to all the pintxo bars and some night life. Very friendly staff. Spotless room and quiet. Great location on edge of old town , 3 min walk to beach, 5 min walk to airport bus, 10 min to train station. While there take the day walk up the hill to San Pedro. Beautiful cliff views, gauli-esk rock formations and nesting birds. Next day, rent bikes, take train to andoion centro and ride bike path up old rail bed thru tunnels and over bridges!!!! Perfect host even though if you don’t speak Spanish it can be quite complicated nevertheless they are so nice you just cannot not like them. 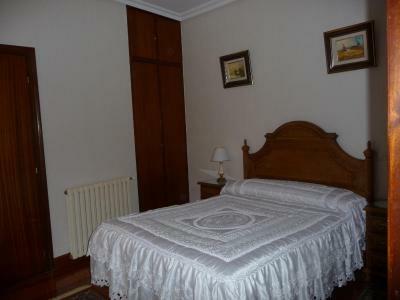 Extra clean room in the heart of San Sebastian what more do you require? Bright airy room which was very quiet and once inside you couldn’t hear any noise from the street. Good location in the old town easy to get to everything. Really clean. 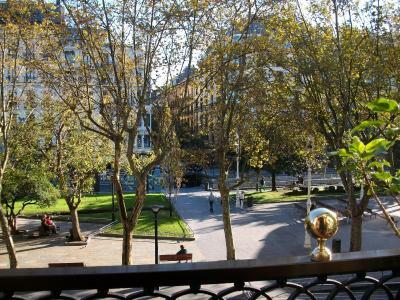 Great location, really close to everything in San Sebastian (beaches, bars, the old town). Really friendly staff. The location is great! The two things we wanted were an elevator and a room with a bathroom...this had both. The sisters who run the pension are lovely and most helpful. We were allowed to store our luggage since our train wasn't til 4:30. Pension Lorea This rating is a reflection of how the property compares to the industry standard when it comes to price, facilities and services available. It's based on a self-evaluation by the property. Use this rating to help choose your stay! 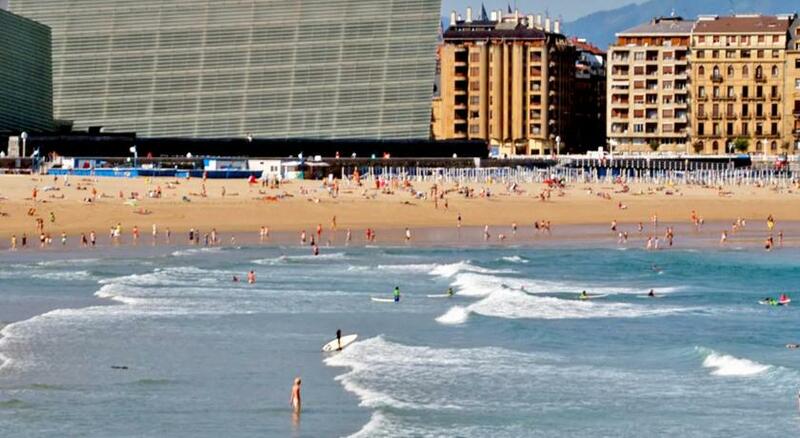 Set 2 minutes’ walk from La Concha Beach, Pension Lorea is located in San Sebastián. 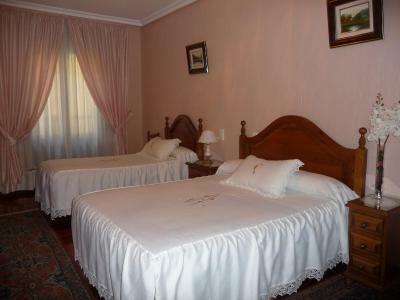 Located next to the old town, the charming guest house has free Wi-Fi. Each room with classic décor features a flat-screen TV and mini-bar. The private bathroom comes with a bathtub and hairdryer, as well as free toiletries. There is a tour desk and luggage storage available for guests. 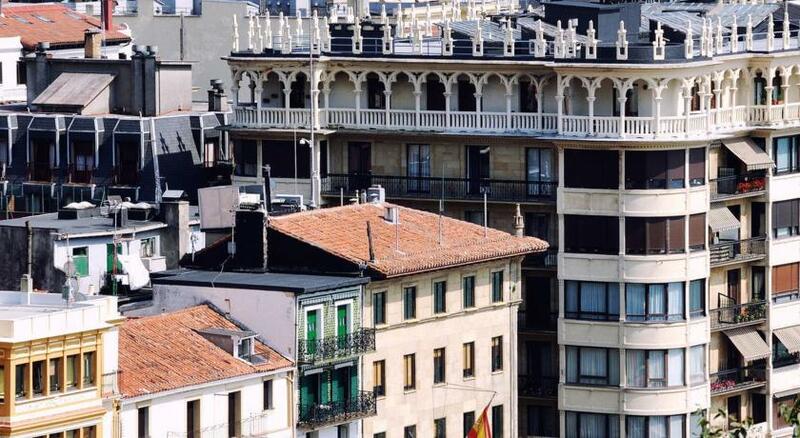 Pension Lorea is 5 minutes’ walk from a wide variety of lively bars and traditional restaurants serving local cuisine and Basque-style tapas. 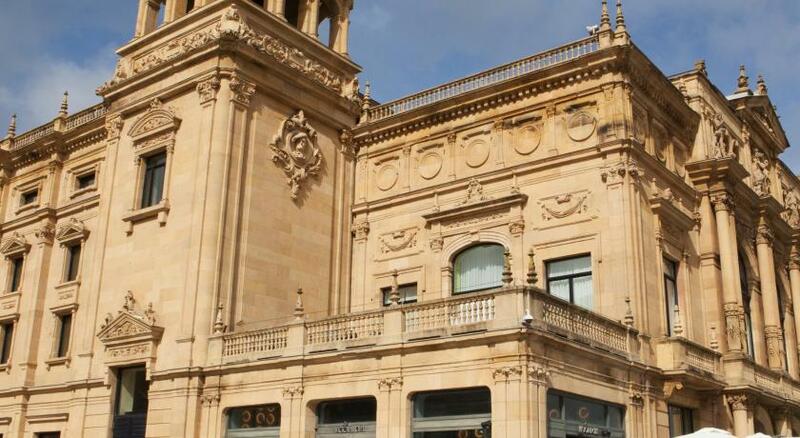 San Sebastian Cathedral is within a 10-minute walk and Amara Train Station is 0.6 mi away. 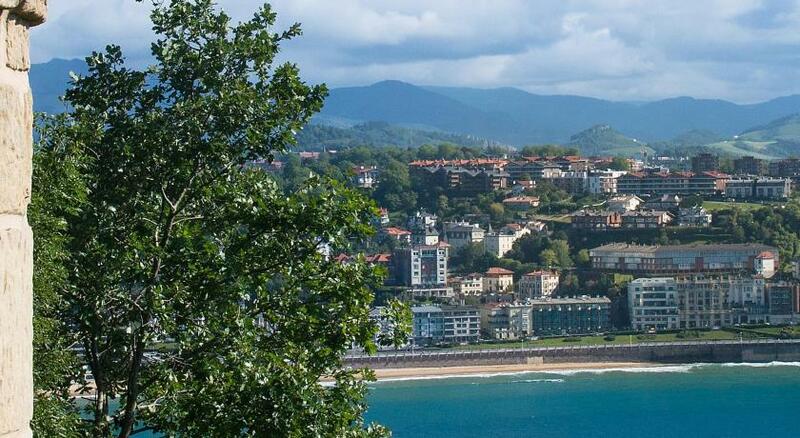 San Sebastian Airport is 20 minutes’ drive from the property. 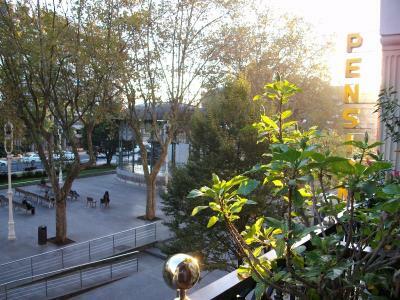 뀐 Located in the top-rated area in San Sebastián, this property has an excellent location score of 9.5! 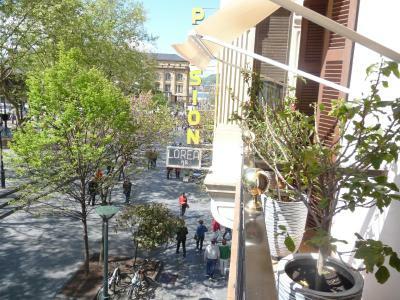 When would you like to stay at Pension Lorea? The double or twin room with classic décor features a flat-screen TV and mini-bar. The private bathroom comes with a bathtub and hairdryer, as well as free toiletries. This twin/double room features a mini-bar. House Rules Pension Lorea takes special requests – add in the next step! Pension Lorea accepts these cards and reserves the right to temporarily hold an amount prior to arrival. Could of used another key. Lovely women own and run it. Lovely little cosy place to stay in. Perfect location and the staff are great! The street noises at night - we had a room with window to the street. Check out was confusing no English was spoken and lady wanted to communicate something but couldn’t. Bed and pillows weren’t awfully comfy. Had to ring the bell to get in the pension. No air conditioning, WiFi didn’t work well. The staff were very up and down - sometimes they were friendly and helpful, other times they would be blunt and rude. The walls were also very thin and we could hear people having conversations and watching TV in the adjoining rooms / in the apartment above us. 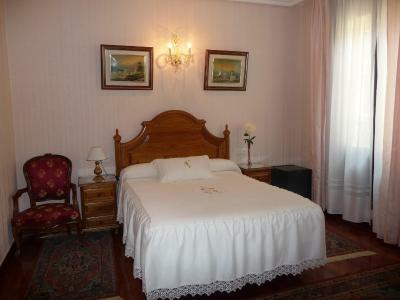 The property is in a great location, right on the edge of the old town. 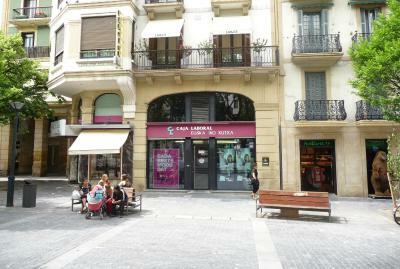 This means it is close to all the good pintxos bars and within easy walking distance of both beaches and Monte Urgull. Our double room was quite small but comfortable and clean with a good shower. 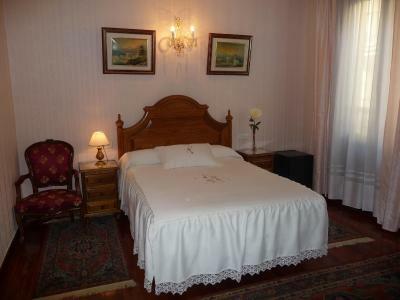 There is a quaint “old fashioned” feel to the Pension which is nice. The only drawback was our room faced the back alley with several restaurants and bars...Sat night they closed at 5am....but Sunday night was fine.